Robie is an Italian artist who now lives in the US. She loves to share useful vacation tips and first-hand knowledge about Italy. 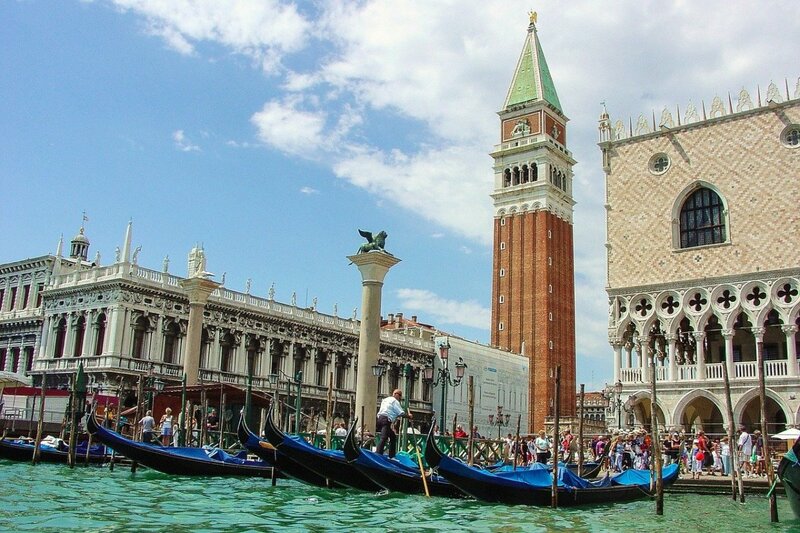 The incomparable scenario of Saint Mark's Square (Piazza San Marco) has has been the stage of Venice's public life and the emblem of the city for more than a thousand years. 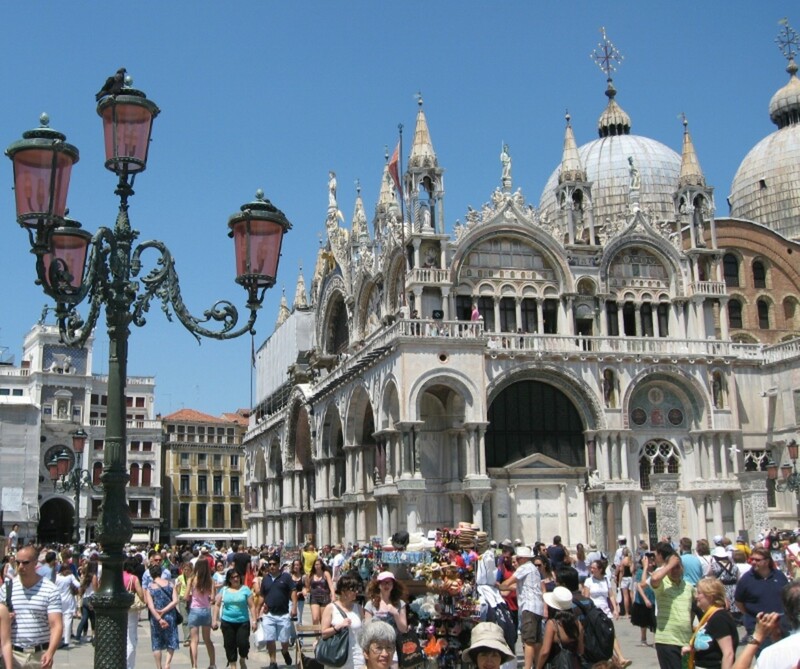 Piazza San Marco has been designed as an extension of the Doge's Palace and the Saint Mark’s basilica. The square was built in the IX century, and later enlarged in 1174. At all hours of the day this is one of the world's most spectacular squares, but Piazza San Marco is most beautiful in the subdued light of early morning or evening, when the buildings and the mosaics of the basilica take a on a warm, golden glow. Competing in numbers with the tourists, pigeons are one of the main living attractions in Saint Mark’s Square, entertaining children and adults alike for generations. However, the pigeons’ population has been growing out of control for years, and their presence in the historical city is as beautiful as problematic, because they cause major damages to the monuments and historical buildings of Venice. While they will storm into your arms at the faintest idea that you may have some food for them, it is actually prohibited to feed them. 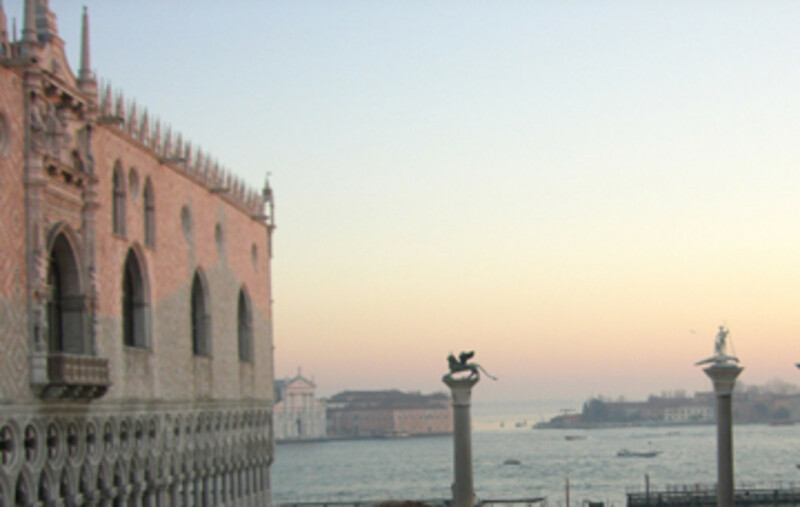 Saint Mark’s Square is the only square of Venice, all the other big spaces are called Campo. 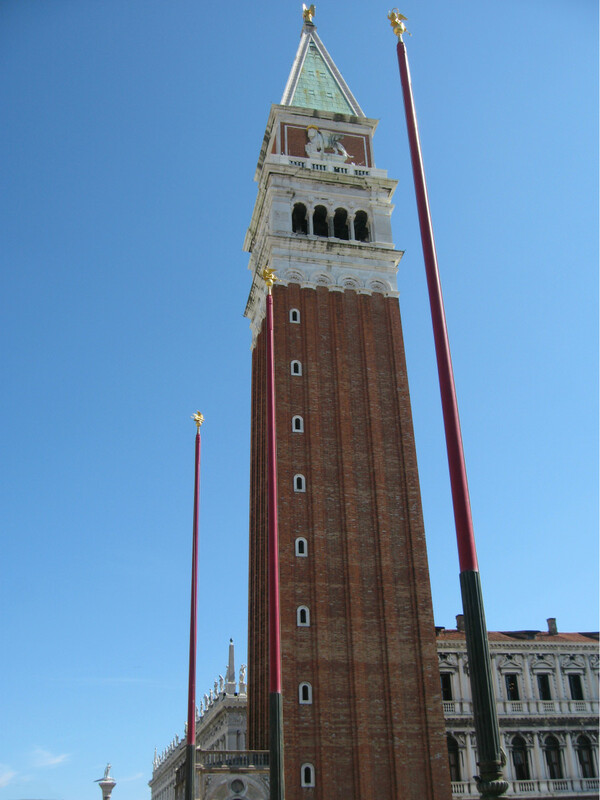 The Saint Mark's Basilica is one of the most beautiful Italian churches and the most important church of Venice. The basilica building has been initiated in the IX century to house the relics of Saint Mark the Evangelist, that were brought over from Alexandria, Egypt in 828. In addition to the magnificent exterior, it has rich mosaics and artworks inside. Entrance in the Basilica is free, so often there is a line to get in. To cut the crowd, you can book your visit online, and it will get you a faster access, for a cost of €1 per person. Inside the basilica there are three little museums that you can visit for a fee. 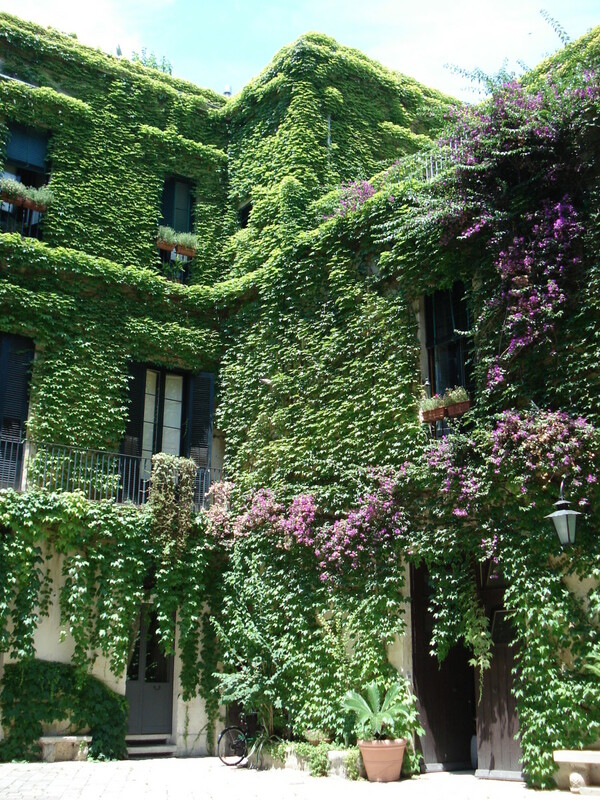 They are all very interesting, but It’s especially worth to visit the one that will allow you to see the original horses from the façade, and to go up on the outside balcony from which you can enjoy the wonderful panoramic view. 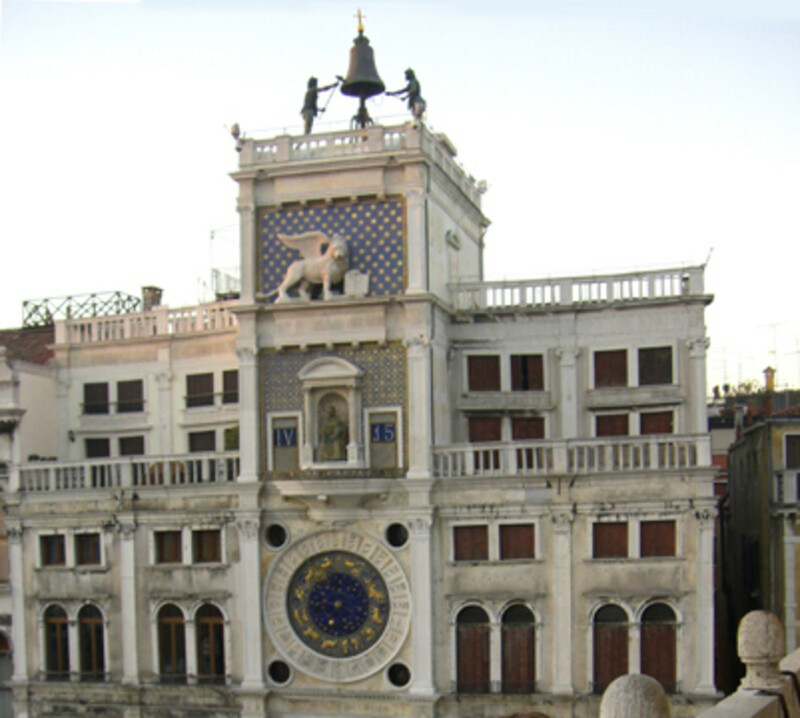 Next to the St. Mark’s Basilica, stands the famous Palazzo Ducale. Formerly the Doge’s residence and seat of Venetian government, the Palace is a masterpiece of Gothic architecture and the very symbol of Venice. The interior of the building is decorated with sculptures and works by artists such as Titian, Veronese, Tintoretto, A.Vittoria, and G.B.Tiepolo. 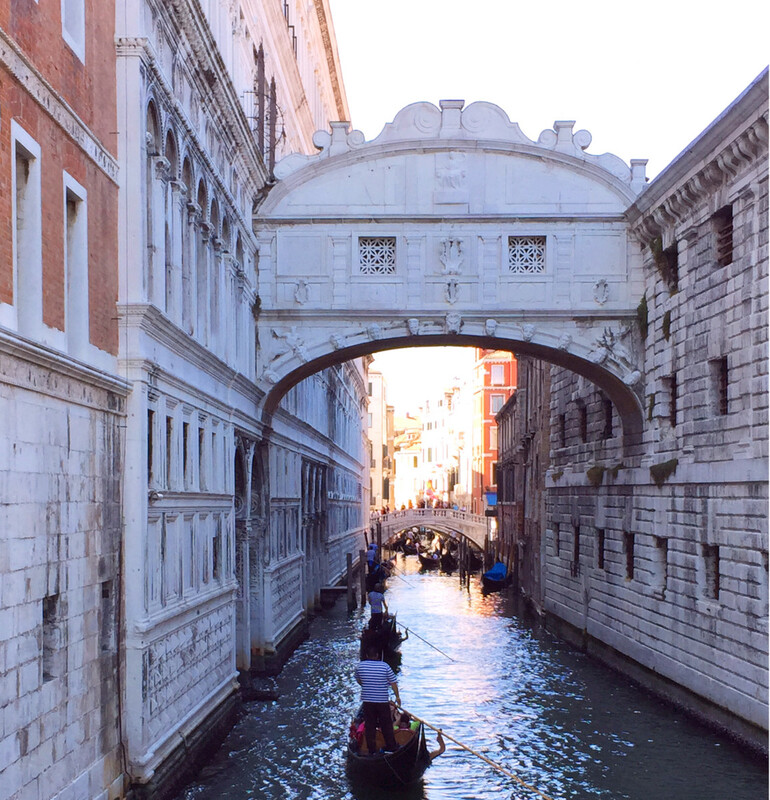 The tickets for the tour, about €20 per person, include also the visit to the prisons, and to go there you get to walk inside the Bridge of Sighs (Ponte dei Sospiri), one of Venice’s landmarks. 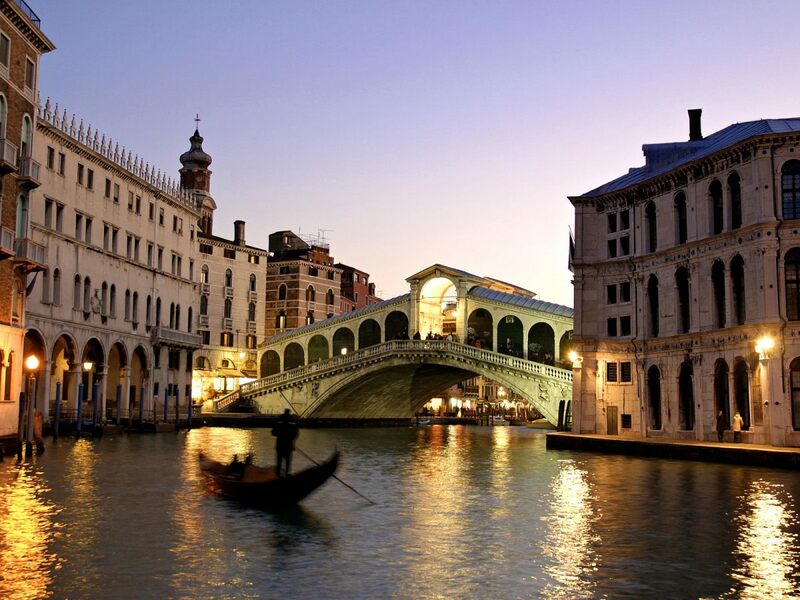 The Bridge of Sighs, one of the main touristic destinations in Venice, connects the Palazzo Ducale, where the accused were prosecuted, with the prisons. The bridge was built by order of Doge Mario Grimani, completely in Istria stone and decorated externally in baroque style. The beautiful esthetics of the bridge has associated a very romantic connotation to the bridge, which is totally in contrast with its real function. The sighs were not of love, but of prisoners that for the last time were looking out the little windows to the Venice lagoons, before being locked up in the terrible prisons, often to never emerge alive. 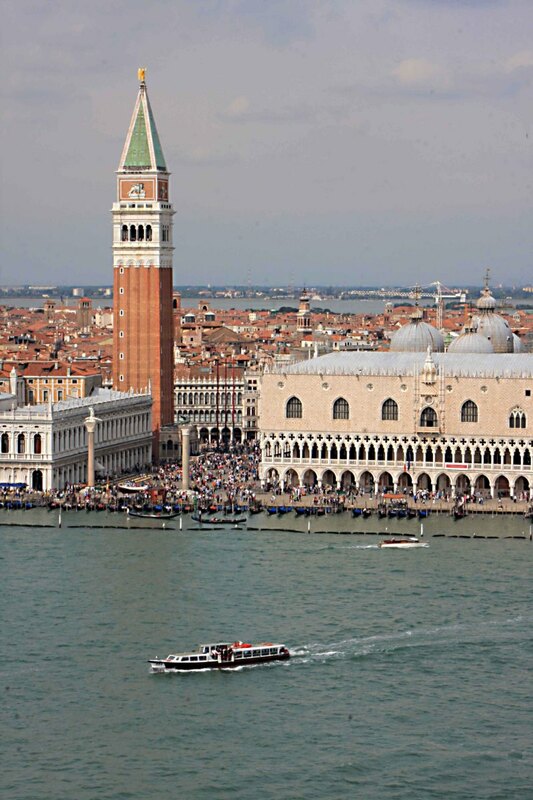 Paying a ticket of about €8 per person, you can take the elevator to the top of the Campanile di San Marco, the tallest structure of the city, and enjoy a stunning view of the whole city and beyond. In clear days to can actually see the snowy tips of the Alps, at the horizon. 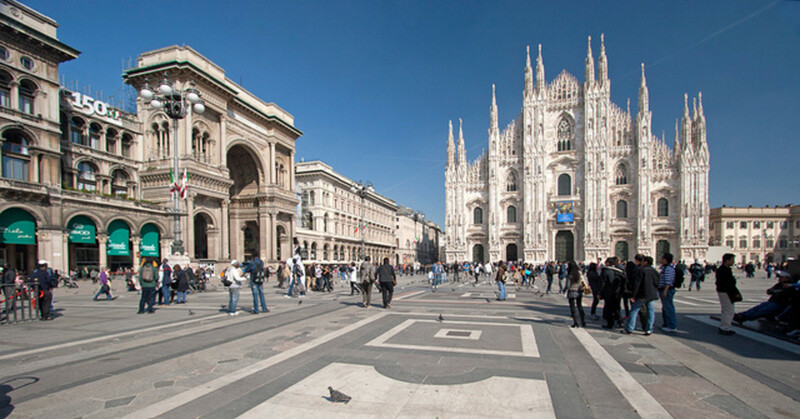 On opposite sides of the square, under the porticoed buildings, there are the two most famous and quite prestigious caffè in the city: the Florian and the Quadri. They have highly decorated interiors, and an orchestra playing outside in the evenings, especially in summer. From the elegance of the caffès and the location you can probably guess that they are quite pricey, but they can provide a great site to take a break. 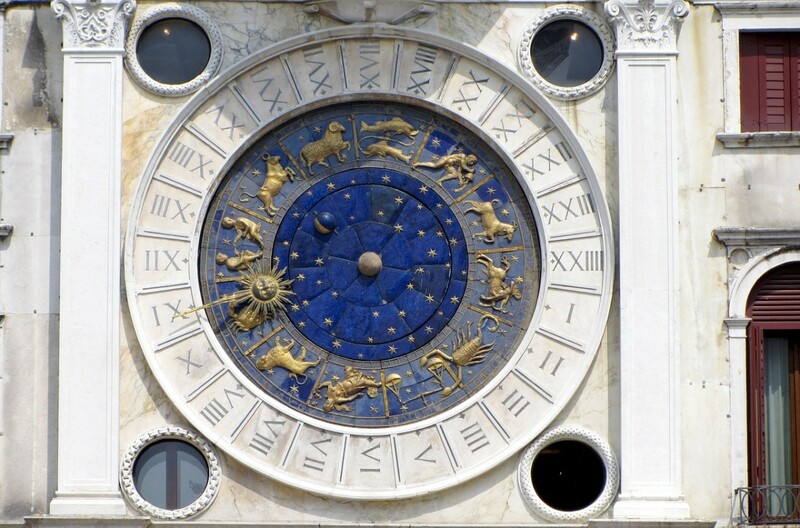 Located at the West end of Piazza San Marco, opposite the basilica, the museum includes some interesting paintings and a fine collection of artifacts such as coins, costumes, and clothing that give a feel of daily life during the glorious days of Venice. 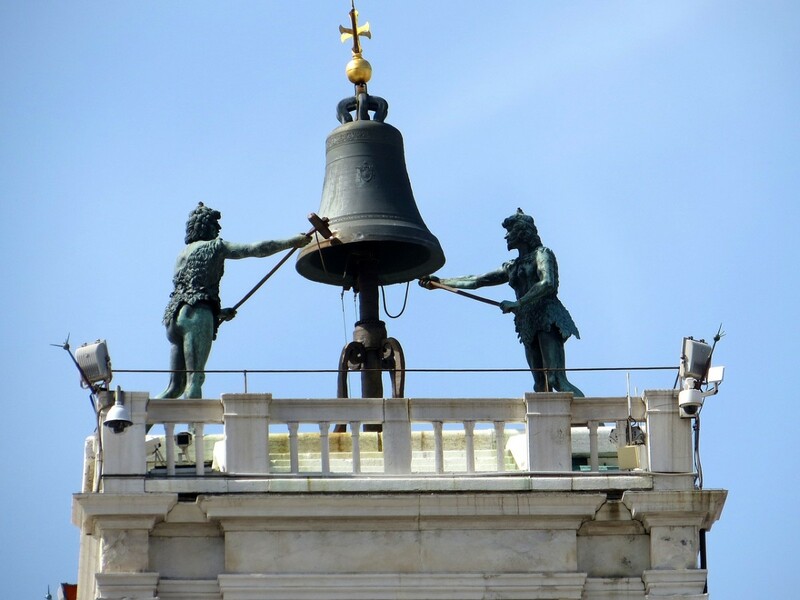 Standing on the North side of Piazza San Marco, the Torre dell'Orologio is a renaissance tower, with a clock mechanism and two bronze figures at the top that have been pivoting to strike the hour since 1496. The tower is the entryway to the ancient Mercerie, the principal retail street that zigzags its way to the Rialto Bridge. This "old school" bar and restaurant offers impeccable service, with very efficient and friendly servers that make the experience in the high-end venue a delight.A sure great experience is you are not particularly price conscious. Here, in 1948, Giuseppe Cipriani created the Bellini cocktail. Cipriani was the head barman of the Harry’s bar, which had famous customers like Ernest Hemingway, Sinclair Lewis, and Orson Wells among his habitués. He named the cocktail Bellini, after the painter Giovanni Bellini (1433-1516). Main ingredients of the Bellini cocktail are sparkling prosecco wine, white peach pulp, and sugar. They sell now the bottled version of the cocktail by Cipriani and the cocktail mix. 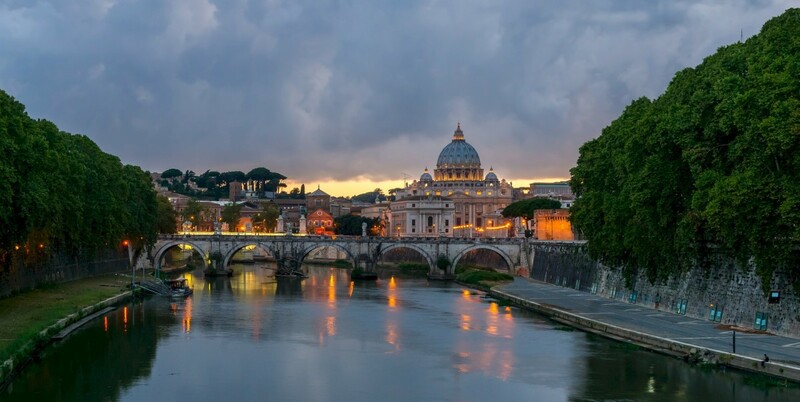 A Day in Rome, What to Do? Italy, Poisonous Spiders & Venomous Snakes. Hi Nettlemere, I don't know about British pigeons, but the Venetian ones have amazing skills to spot potential food. I remember getting out of the University's cafeteria with leftover bread, and I swear they would storm in from nowhere. Of course I had taken the bread on purpose to feed them, they must have known (it wasn't forbidden then). Great picture with the pigeons - Italian pigeons must be even more opportunistic then the British ones. Beautiful images. 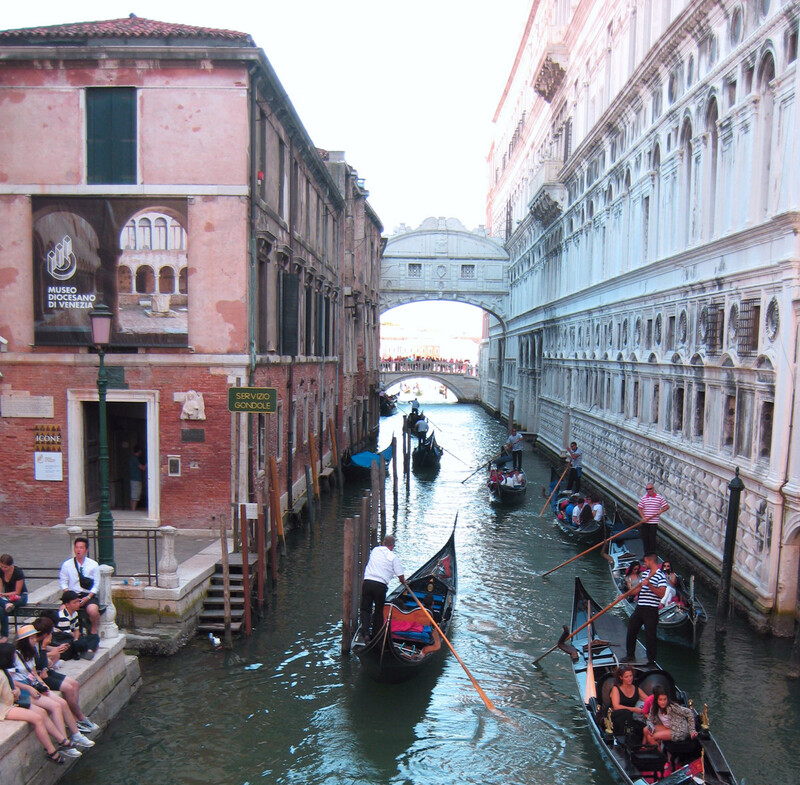 And I love the story of the Bridge of Sighs - how interesting! Thanks for sharing this tour. Just beautiful! Thanks for all of the great information. What a fabulous tour! I have never been to Italy and would love to visit when I can afford to. I loved the use of the map capsule and the photos were well selected. Voted up! Freecampingaussie, that's too funny, lol. Oh, this makes me even more eager to go there! You are so fortunate to have had this experience. Your pictures look like a travel brochure, and the shot with the pigeons clamoring for a treat is priceless! Voted up and up! Great Hub! Super interesting and full of information for anyone who wants to visit. Beautiful Hub! Keep up the Great work! 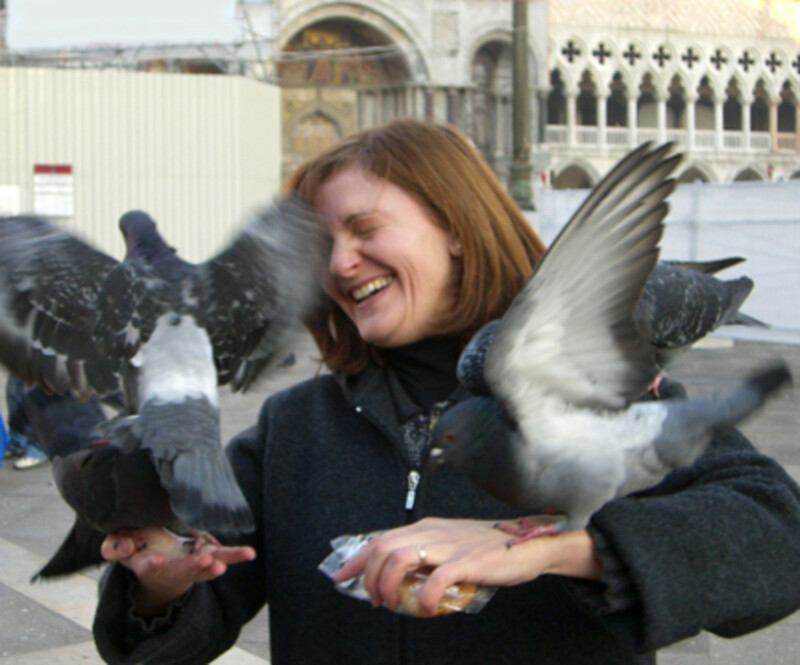 I've never been assaulted by a flock of pigeons before--certainly not what I'd expect with a visit to Venice! Hah. Wayseeker, I'm glad you enjoyed the hub and liked the pictures, I dug out the one with the pigeons from few years ago, I was laughing so hard when it happened. Everything was quite and then the pigeons heard the noise of plastic wrapping and they went berserk. Loved our time in Italy & hope to return next year. Great. Yet another reason to fly over the pond and dig into Europe. Everyone is going to have to stop talking about all of the wonderful things to see over there or I'm going to end up cashing in my life savings for a one-month joy ride! Honestly, though, this is a very useful hub. The information is brief, but clear and very useful for someone surveying the options. The map is great for planning as well--I particularly like the personal photo you took there of the pigeons. This adds real authority to the piece as, after all, you were standing right in the middle of it. Beautiful! 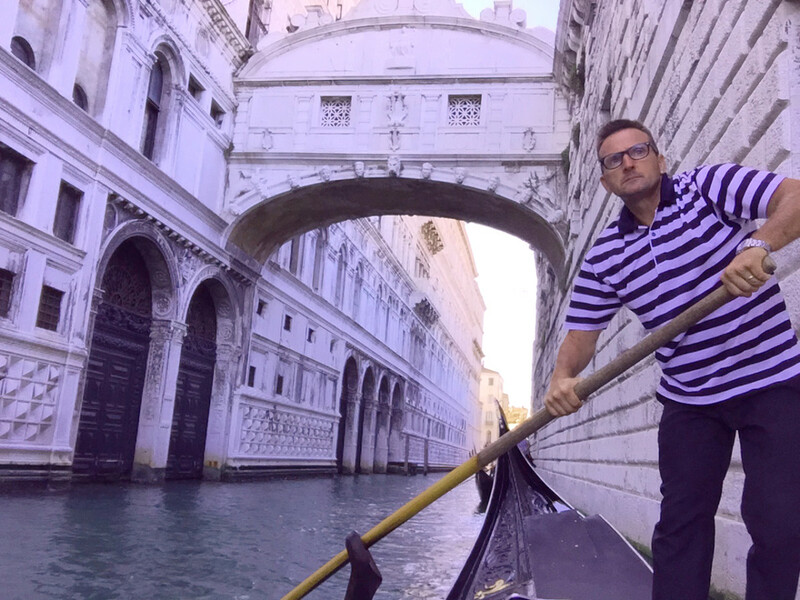 If I keep reading all these wonderful hubs on visiting Italy, I may just take off one day without notice!